On today's blog, I will be writing about my trip to the West Coast and Northern Mexico. I will also point out some traveling tips. Take note! Although I love traveling, we all know that sometimes it can be a bit of a hassle. A very close friend was getting married in Ensenada, Baja California Mexico, and of course, I couldn't miss it. Since the wedding was so close to San Diego, a group of friends and I decided to visit both cities. I only had to look for a hotel in San Diego, CA, because the wedding hotel was already designated by the groom and bride. Hotel rooms are tricky, sometimes booking them straight from their web page comes out cheaper. The couple suggested Hotel Coral & Marina, it has a large dock with an amazing view and a delicious restaurant. 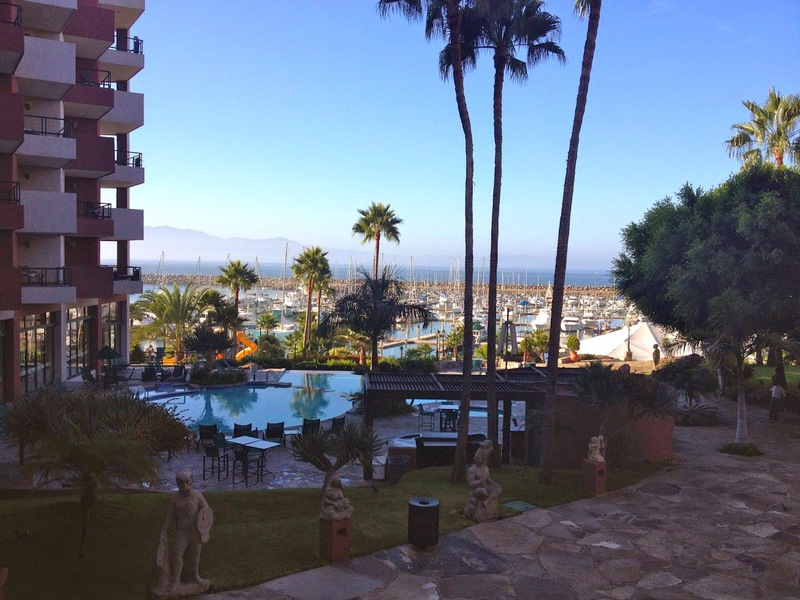 It is a good place to stay if you are visiting Ensenada. The wedding was spectacular, one of the best weddings I’ve ever been to! It took place on a vineyard in Valle de Guadalupe, which is one of Mexico’s largest wineries. Some wine houses and vineyards found in Valle de Guadalupe are Casa de Piedra, Domecq, L.A. Cetto, Monte Xanic, Viñedos Don Julio, Viñas de Liceaga, and Chateau Camou among others. We had lunch at Coronado Beach at the oldest hotel; Hotel Del Coronado. It is the second largest wooden structure in the United States and was designated a National Historic Landmark in 1977, and is a California Historical Landmark a MUST see! San Diego is a beautiful city, perfect weather, nice people and I would definitely go back and learn more. Visit www.sandiego.org to learn more about what this city has to offer.